Rigoletto is an improved version of the Attractie. 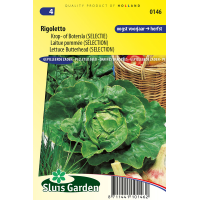 For cultivation from spring to mid autumn, but particularly highly suitable as Butterhead Lettuce for summer cultivation. Does not bolt quickly and is very reliable. Produces large, sturdy and yet very tender heads. Can be grown in a greenhouse (ventilate during warm weather) and can be sown directly in the garden as of mid March. Keep seeds cool in the summer. Thin out liberally and keep sufficiently moist during warm weather. 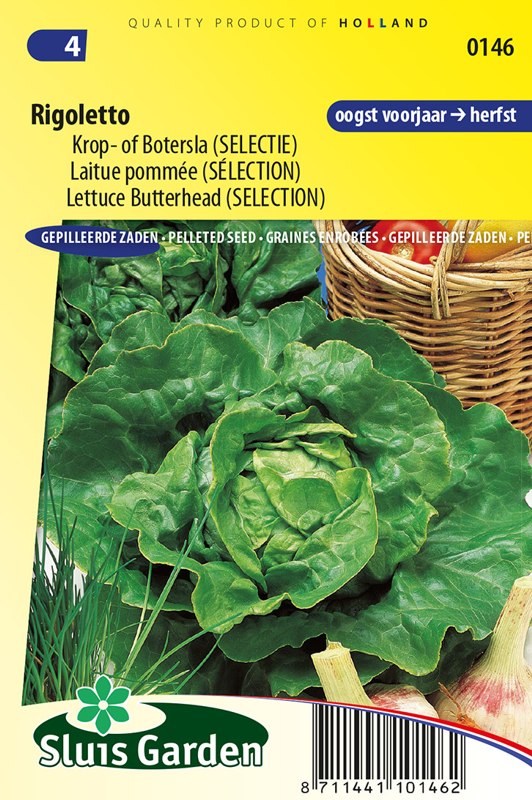 Lettuce can already be sown at low temperatures (>10º C).